The sovereign or supreme law of God is that we love our neighbors with the same concern and care that we have for ourselves. James is not speaking of mere emotional affection; rather, the command is to pursue meeting the physical and spiritual needs of one’s neighbors with the same intensity one naturally gives themselves. Sadly, this great command has gone unfulfilled by too many professing to be Christians. Believers who would never consider committing “adultery” or “murder” are nonetheless “transgressors of the law” because they have failed to love their neighbor as themselves. So today, be a neighbor to someone in need and by opening your heart to them and then you will indeed show that God’s love abides in you (ref. 1 John 3:17). 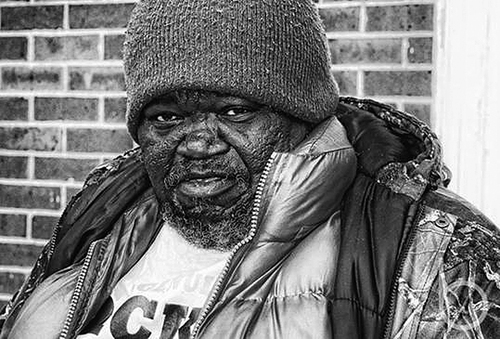 On a side note: As I was scrolling through Google Images last night looking for a picture of a homeless man I came across a familiar face, Melvin D. Taylor. Melvin is a fixture in my community (Columbia, TN). In the warmer months you will see him sunning on a bench or relaxing under the shade of a tree. When the weather turns cold, he will generally retreat to the warmth of the all night Laundromat or McDonald’s. He is kind and gentle soul always willing to talk about God’s love for humanity. You can read more about Melvin here. Though urban legends about his past freely circulate I have another idea about why Melvin is here. I believe that God brought Melvin to Columbia as sort of a test, just to see who would practice the royal law. I am sure that in your town there is a Melvin or two, or a hundred; men, women and children who would benefit from your mercy and love. So rather than talk, study or debate about who and how to help (which seems to go on ad nauseam) it is time for you to act. You know who needs your help. You know who needs your mercy. You know who you can be a neighbor to… So go! ← Are You A Hearer Who Forgets Or A Doer Who Acts? Hey Brother…………….you hit the nail on the head with this one. Good job!!!!!! yes, thank you. We in American churches have a hard time even taking time from our busy schedules to visit the widows or sick. Teach your children to do this when they are young and can see it as an act of love. We can encourage others to be actively living this way by reminding them and also by our example of doing it. Thank you, many tests in life that we overlook in our business. Keep reminding us. Thank you for the comment. You are absolutely right, we have to teach this to our young and always keep our eyes open for opportunities to share God’s love and mercy. thanks, good reminder to busy Christians. We all need to be more thoughtful of those in need. Easy to just have fun with those we like and get along with. 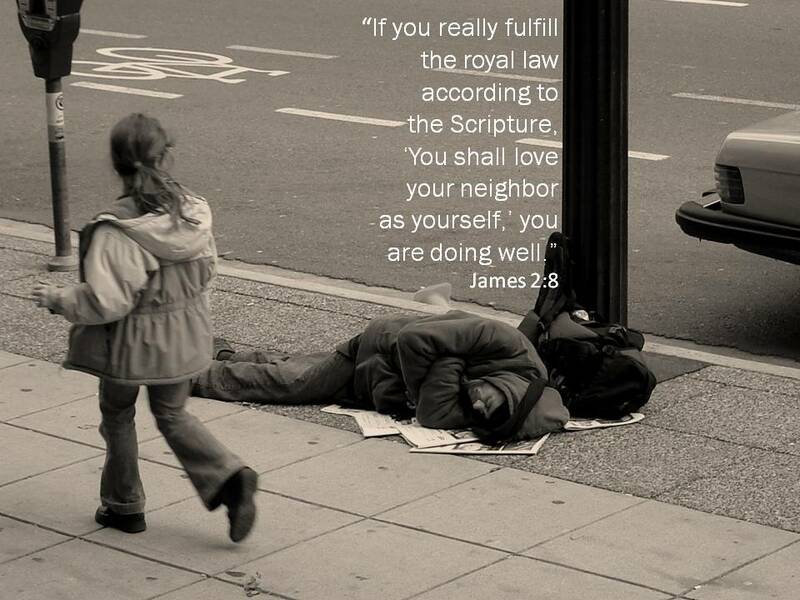 More Christlike to love and serve those who are more needy. Acts 6 tells us the widows were overlooked, too. Reminds me of James 1, pure religion is to visit them and give them our time. Yes, thanks for this reminder and admonishment. No problem Joan. Glad you stopped by and commented.